Earlier this year we were proud to announce that WordPress.com users’s sites would automatically support Accelerated Mobile Pages (AMP) — a new open-source projectspearheaded by Google to dramatically improve the performance of web pages on mobile devices. Now, here’s the big news: Google has just announced that it is bringing AMP pages to all of its global search results — and WordPress.com users’ sites will be ready. 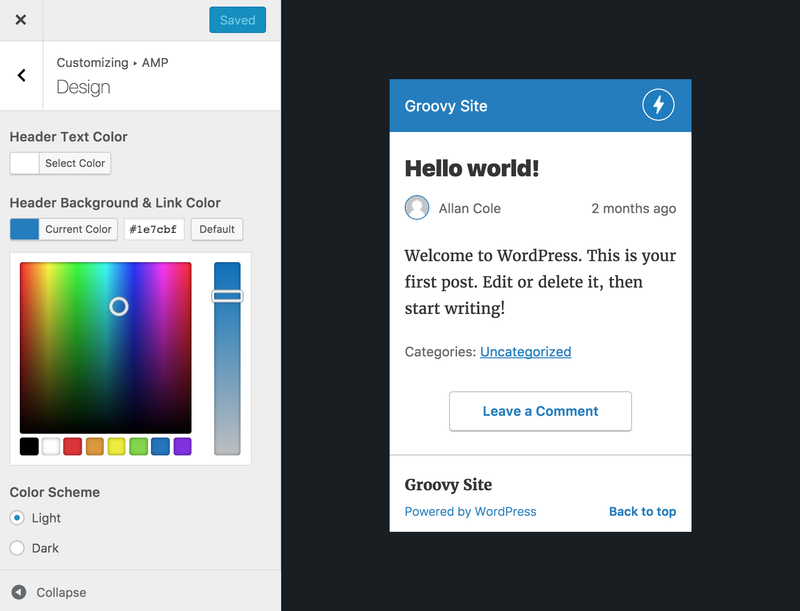 Our latest update to WordPress.com gives you even more control over your site’s look and feel on AMP pages. Just go to your My Sites section, go to Settings > General and look for the AMP section. There you’ll be able to customize your AMP design, including the header text color, link colors, and a dark or light color scheme. If you prefer to disable the AMP pages, there is also an option to turn off the feature. For users with a self-hosted WordPress site, you can also download our free AMP plugin. Go here to install it. Tens of millions of WordPress sites now have AMP pages, with page load speeds up to 89% faster than normal in some cases. It’s great for your readers and followers, as faster loading times mean they’ll get to your content sooner, even when they’re on the go. We’re excited to have you try it out!